Muncie, IN— If you’ve been involved in the “entrepreneurial ecosystem” around Muncie and East Central Indiana, then you’ve probably had the opportunity to hear or meet Peggy Cenova. Because she’s seemingly everywhere. Cenova is the regional director of the East Central Indiana Small Business Development Center (ECI-SBDC.) The ECI-SBDC offers no cost business advising services to business owners, start-ups and anyone considering a new business venture. The ECI-SBDC is headquartered at the Innovation Connector in Muncie, and serves the following counties: Blackford, Delaware, Fayette, Grant, Henry, Jay, Madison, Randolph, Rush, Union and Wayne. Cenova has been the regional director of the ECI-SBDC since 2011. She was a former business advisor for the center from 2009-2011. Cenova’s career includes owning her own small business. That small business (Straight Status, Inc.) was named to the Inc. 500 fastest growing business list in 1988. Through the ECI-SBDC, Cenova facilitates small business strategic planning sessions, and is a business advisor on various topics such as starting, building, and marketing small businesses, and coaching business owners one-on-one as they assess their business needs. Ted Baker, current executive director of the Innovation Connector used to be the regional director for the ECI-SBDC. At the time, Cenova was doing a lot of traveling back-and-forth from Hagerstown, IN to her job in Fishers, IN. That kind of daily drive wasn’t really working out for her, so one day, one of her professional connections mentioned that Ted had just taken on a new role at the ECI-ISBDC and was recruiting for a business advisor nearer to where Peggy lived. After interviewing her, Baker knew she was perfect for the position. 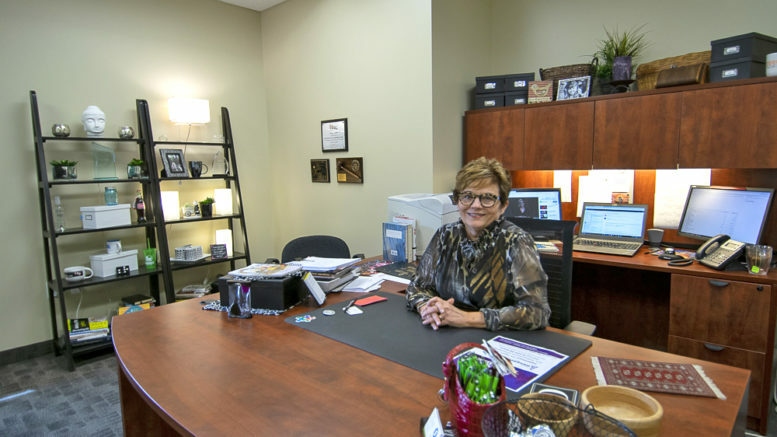 She worked out of the Richmond office for several years until Baker left the ECI-SBDC to become the Executive Director of the Innovation Connector. Peggy was then promoted to Regional Director and Baker saw a natural connection and fit of having the ECI-SBDC operate out of the Innovation Connector. This was the beginning of a great and valuable partnership for Muncie area communities. Cenova is passionate about the services ECI-SBDC offers, and when talking with her, you get a sense that there’s nothing she cannot help you with. She immediately puts you at ease, even with tough business problems and questions. “We offer totally confidential one-on-one business advising,” she says. “We provide a place where our clients can tell us anything and know its not going to go anywhere. We provide a concerned ear to help you, no matter where you are in your business journey. Cenova and her staff have advised 23 new business startups and worked with 200 people so far this year. When asked if she could name some of those startups, Cenova advised she could not, due to the strict confidential manner in which ECI-SBDC operates. For more information on the Innovation Connector, contact Alexis Dishman, akdishman@innovationconnector.com or call 765-285-4900.